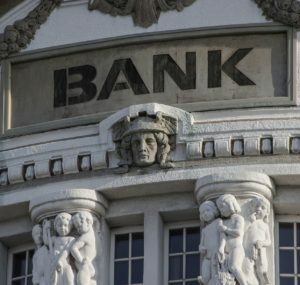 The FDIC’s quarterly Banking profile contained good news for their client banks. FDIC-insured commercial banks and savings institutions are reporting third-quarter 2017 earnings of $47.9 billion — that’s 5.2% year over year. Community banks make up 92% of all FDIC-insured institutions; they reported net income of $6 billion, up 9.4% from last year. Also, Net Interest Income rose 7.4% from third quarter ’16. During third-quarter 2017, no bank failed, two new charters were added, while 50 were merged. As of Sep 30, 2017, the number of “problem” banks declined from 105 to 104. This signifies the lowest number in more than seven years, down from 888 recorded in first-quarter 2011. Total assets of the ‘problem’ institutions declined to $16 billion from $17.2 billion. As stability returns across the industry, one could argue the same with check volume. Although not growing, volumes have stabilized (See ECCHO production statistics). With this in mind, many banks are now fortifying their defenses against check fraud with new innovations involving image analysis, automated signature verification, and check stock validation. During times of strength, businesses that proactively invest in new technologies typically see longer spans of profitability. In the check fraud realm, antiquated systems are leaving gaping holes for fraudsters to take advantage of. New innovations can close those holes!